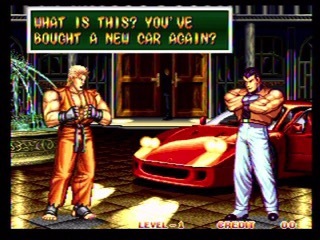 Art of Fighting games are very, very hard. 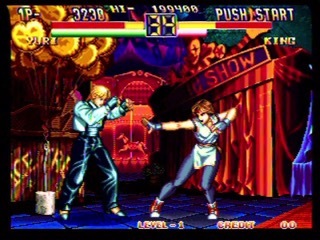 They are probably the hardest fighting games I ever played. Only rarely I ever win a round, much less the two rounds necessary to win the battle. 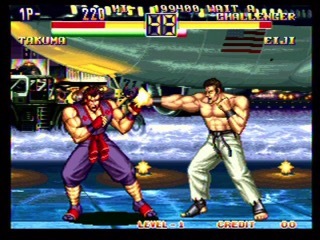 Of the first two Art of Fighting games, I like part two the most because it has more characters to choose from, and, on my opinion, better backgrounds. 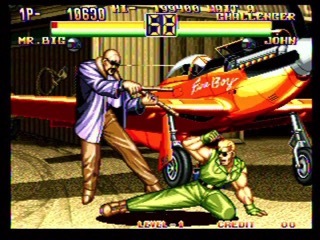 SNK made Art of Fighting 3 eventually, which was somewhat less difficult than the first two. I still like Art of Fighting 2 more because I believe Art of Fighting games should have large characters and should be very difficult.